As E3 comes to a close it’s good to finally get a look at games we’ve only seen hints of. First the press conferences. I was more excited to see what Nintendo had in store for us: the fans that had left for greener pastures that is. 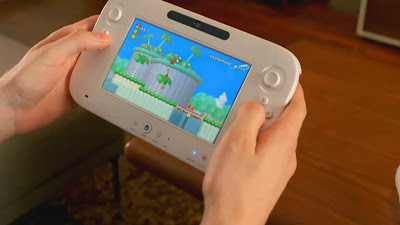 The Wii U looks like it has some great concepts, concepts indeed. Actual games weren’t shown. Nothing was indicative of the final tech that the console will showcase a year from now. An HD Zelda mock-up was demoed but even that didn’t really jazz me up. I do like that you can transfer the games from TV to the controller. But I can’t say I want to play the games like that very often, if at all. Using the Wii U to enhance the motion controls that the original Wii established doesn’t get me going either. I don’t need to shoot Mii’s out of windows, or simulate playing golf. That’s all been done before. I’m done with motion controls. Zelda Skyward Sword was so underwhelming I didn’t even finish watching the demo. I think the Wii is completely dead to me at this point. Zelda isn’t going to change that. It doesn’t help matters that the game is just ugly to look at. There was a lot of hardware on display. More from the 3DS; the Wii U was obviously shown—with mostly tech demos. And the NGP now called the Vita showed how you can cram and the power of a PS3 into something you could fit in a taco shell. The games are what I focused on throughout most of E3. Powerful or not--the controller is what separates Wii U from the rest. Microsoft and Sony stuck to their respective guns and just kept the sequels coming. 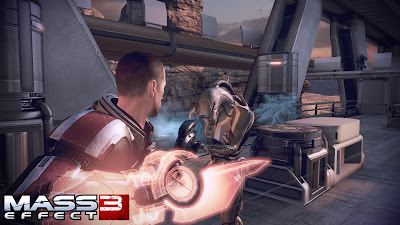 Uncharted 3, Gear of War 3, Modern Warfare 3, Mass Effect 3…so many 3’s my head it spinning! I actually wasn’t too enthralled by what I saw from Modern Warfare 3. Battlefield blows it completely out of the water from a graphical standpoint and even captures that realistic military perspective far better than what I saw from MW3. That’s just the singelplayer though. As I could care less about Battlefields’ multiplayer, it’s just not my thing. But until Infinity Ward shows some multiplayer footage everybody is going to be talking about how disappointing a showing Modern Warfare 3 was. There’s a host of great games I really want to see more of. The, “Give them to me now” games. Sure I’m going to probably spend an ungodly amount of hours with Modern Warfare 3, but games like Rayman Origins, Star Wars the Old Republic, and Batman Arkham City are the ones I want this very moment. 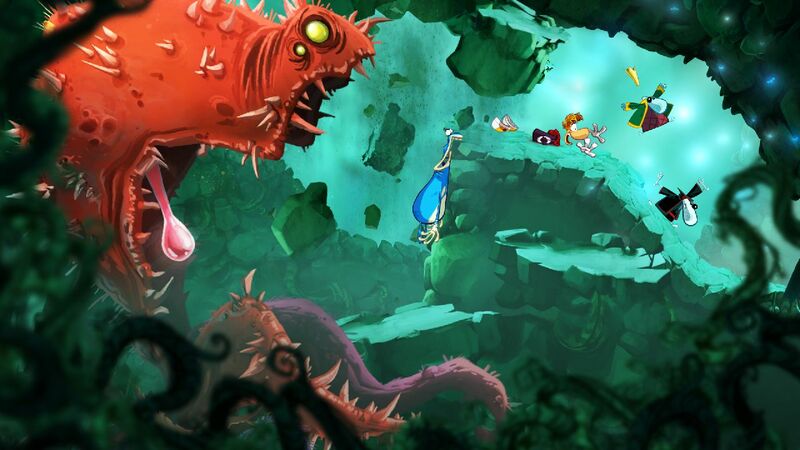 Rayman Origins is absolutely gorgeous. Like a living pop-up book, or a hand drawn painting come to life; the colors are so vibrant they’d make a blind person see. It does just look like a standard platformer. I’m okay with that, and a lot of people are. It is going to draw comparisons to New Super Mario Bros. because of it’s emphasis on cooperative play, or lack of co-op as I never found New Super Mario Bros. to be very fun with another person. Hopefully it’s not dependent that I have someone with me in order to complete certain levels. Rayman Origins is gorgeous, still shots don't do it enough justice. I thought having Batman in an open world might just be a misstep for the sequel to the surprisingly good Batman Arkham Asylum. I appear to be completely wrong. Bat grapping off buildings to gain momentum, and soaring around the city and dive-bombing onto unsuspecting enemies looks fantastic. Gotham is Batman’s city, and it looks like he has all the tools to make traversal around the open expanses addictive. Here’s hoping gliding around Gotham is as fun as swinging in Spider-Man 2…yeah Spider-Man 2 was really awful in certain areas, but swinging was damn good fun. Gliding in Batman looks to be one of those great traversal mechanics, like freerunning in Assassins Creed…but you’re Batman so it’s way cooler. EA looks like it’s got its finger on the pulse of the SSX fan. They know what we want. Not a simulation. We want that Tricky-ness from the original games. The over-the-top arcade style racing and motif that SSX was known for. Big air and even bigger tricks. Fast and adrenalin-fueled racing down the side of a mountain. I’m not sure about the Survive It mode, in which you have to escape an avalanche—riding from the summit to the base of the mountain. The camera’s overhead perspective, and having to ride towards to screen really isn’t something I want to do. But we shall see. Bethesda’s Elder Scrolls V: Skyrim is my most anticipated game of 2011. Bethesda designs a world, that’s what they do. You can almost live in them; it’s a living breathing environment with so much to do it can be overwhelming. It does look a lot like Oblivion. I was under the impression that the combat had been significantly overhauled, that doesn’t seem like the case. At times the game slows down when delivering a killing blow to an enemy, and there are some brutal finishing kills when up close and personal. But he base combat still has you swinging around your sword chopping wildly at enemies and them only vaguely flinching even with the hardest hits. There needs to be more weight with each hit you deliver in order to make it actually feel like you’re holding a sword. Too...many...games...ending in "3" this year [head explodes]. But Bethesda games don’t always show very well. We’ve got to play them to really get a good feeling for how things work. Still I was hoping for something innovative to combat like the V.A.T.S system that Bethesda had for Fallout 3. The game is still a ways off, so things may tighten upon release. Assuming it actually comes out this year, I still have my doubts. E3 2011 had some good moments; some good hardware showings and games that I really can’t wait to play. But a lot of those are games that won’t be out until next year. Almost everything I’m going to play this year is a sequel to something or the third in a series. It’s starting to become a grind. 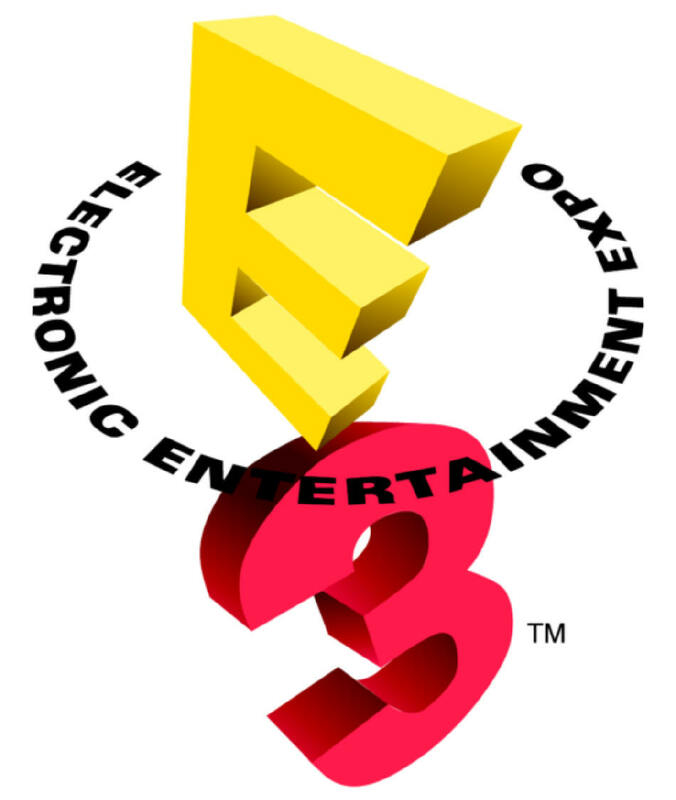 But games like Rayman Origins and Tomb Raider are what will make this years E3 memorable.